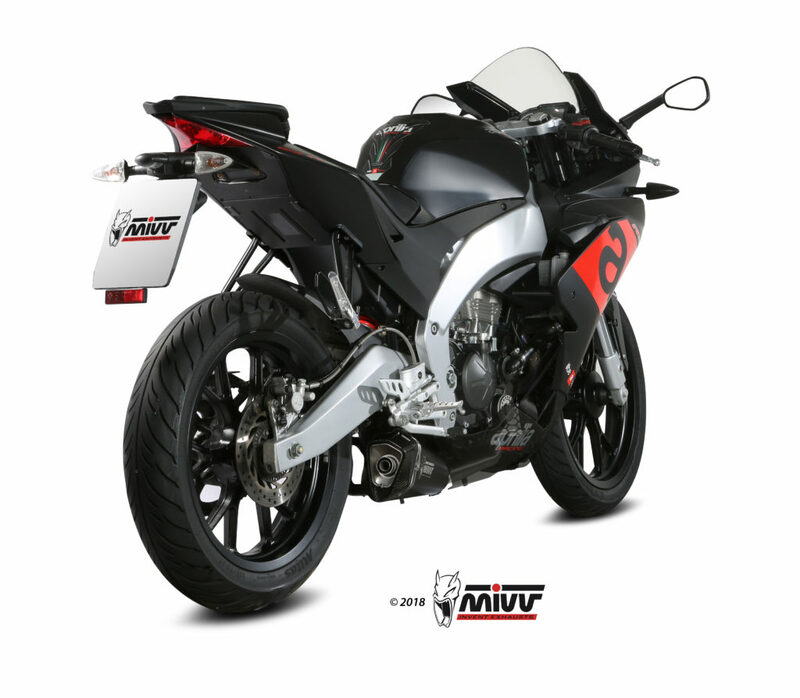 The DELTA RACE exhaust features an exclusive shape that, through a gradual transformation, from conical becomes hexagonal. 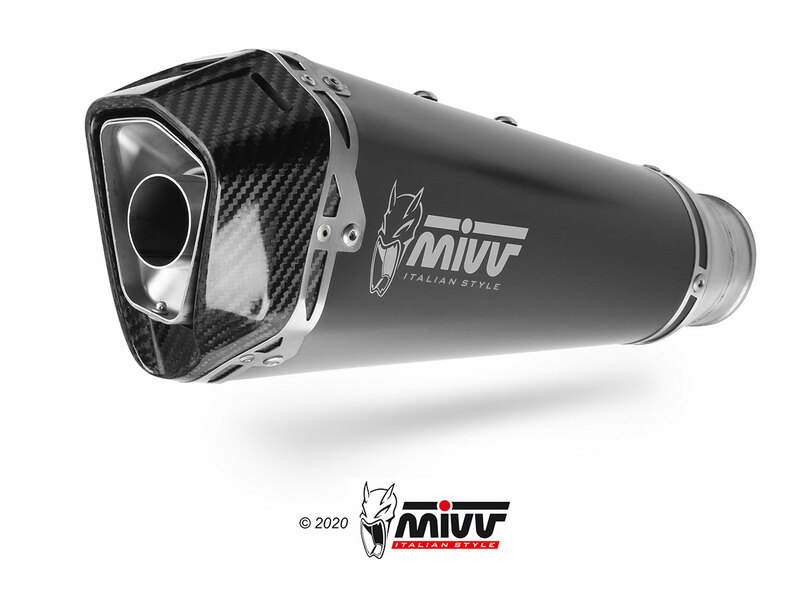 There are many details that make it unique, such as the 3K twill carbon cap; the perimeter bracket with double riveting, the specially machined inlet bushing to offer maximum coupling precision. 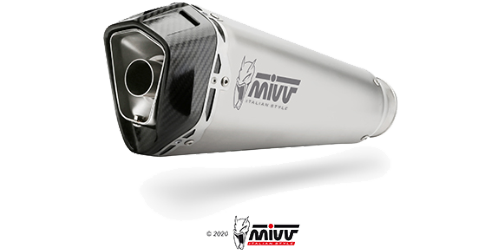 This exhaust sports the characteristic Mivv logo created by laser technology. 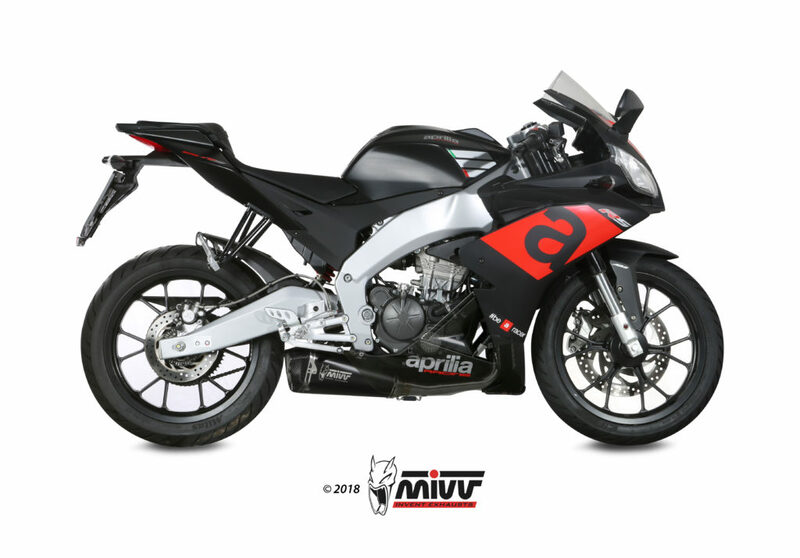 It features a central body in black stainless steel with “Black Moon” effect, obtained thanks to a special ceramic-based painting process that gives the product a more aggressive look.